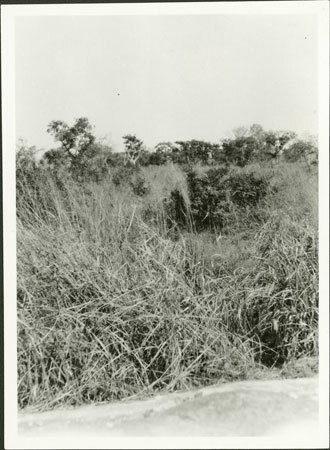 A view of the bush in Chief Gangura's province, showing tall grass and trees in the distance. Morton, Chris. "Bush scenery Zandeland" Southern Sudan Project (in development). 03 Jan. 2006. Pitt Rivers Museum. <http://southernsudan.prm.ox.ac.uk/details/1998.341.128.2/>.